Sell a House Fast In the Folsom Area or Northern CA. Who Else Needs To Sell A House In Folsom — Fast??? 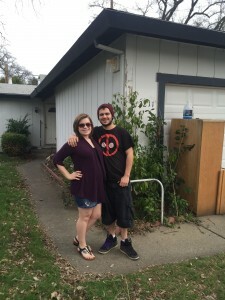 We Buy Houses Anywhere In Folsom And Surrounding Area… Any Condition, Any Price. We’re Ready To Give You A Fair Offer For Your House And Close Right Away. If you want to sell a house fast in Folsom or the surrounding areas… we’re ready to give you a fair all-cash offer and close right away. There are many reasons why you might want to sell. Liens? Retiring? Foreclosure? Downsizing? Moving? Divorce? Bad tenants? Behind on payments? Expensive repairs? Even if the house is uninhabitable or there are tenants you can’t get rid of — we’re here to help. Sell your Folsom house fast — to us. We buy in any condition, for any reason, and at any price. Stop the frustration of your unwanted property. Let us buy your Folsom house now, regardless of condition. Do You Need To Sell Your House in Folsom? Not everyone wants to work with a real estate agent. For some folks, it costs too much money and takes too much time to sell through an agent. Between the up-front costs, the months of waiting, and the thousands of dollars in commissions to pay at the end… it’s more cost and time and stress than a lot of people want to put up with. At NewLook Realty Company, we make it as simple as possible for anyone in any real estate situation to sell their Folsom house fast and easily… with no hassles, fees, or surprises. Whether you’re struggling through the challenges of divorce, probate, or foreclosure, or if you just want to sell your house quickly so you can move, downsize, or retire, we’re here to help. We buy houses in Folsom and surrounding areas and we pay a fair cash price, fast. 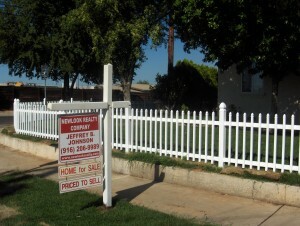 Just tell us about the property by filling out the form above or by calling our office at 916-943-4161. If you don’t want to own your property any longer, and if you want to sell it fast to get rid of the headache, we’re here to help. Just reach out to us and tell us about the property. Accept our offer and close fast. Sell my house fast Folsom!